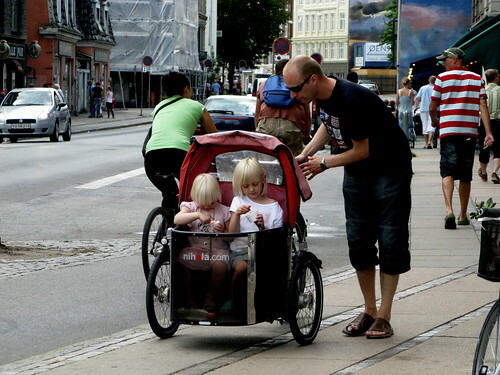 Another Copenhagen supermum. Cracking heels and stockings. On the cusp of winter and spring. And to answer a few requests for Copenhagen superdads, here's a lovely summer shop. We've not been shy about posting superdads... as a look in the archives will attest.